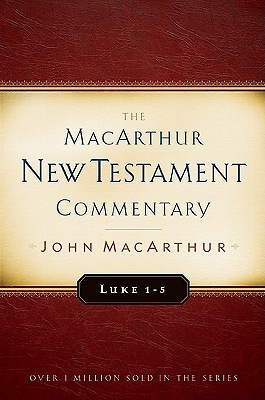 "Luke 1-5" begins"The MacArthur New Testament Commentary" s look at the longest of the four Gospels. Luke is unique in its historical detail and for how it positions Jesus as the Savior-King not just of the Jews, but of all mankind. Join John MacArthur as he explains each verse in a way that is both doctrinally precise and intensely practical.Taking into account the cultural, theological, and Old Testament contexts of each passage, MacArthur tackles interpretive challenges and fairly evaluates differing views, giving the reader confidence in his conclusions. "A great resource for pastors, teachers, leaders, students, or anyone desiring to dig deeper into Scripture"